You may have heard the story about siblings in Ottawa who won an Airbnb contest to sleep in Dracula’s castle on Halloween night last year. They were the first two people in 70 years to sleep in coffins at the infamous Bran Castle in Transylvania, Romania. Of course not all of us will get the chance to visit the castle of Vlad the Impaler, the brutal Prince who believed to have stayed there and who likely inspired Bram Stoker’s Dracula novel. 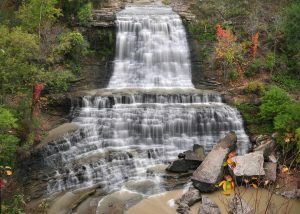 But, there are some places right here in Canada that you can visit this Halloween if you’re into getting scared. Many may not know, but Canada is actually very rich with ghost stories and tales of the supernatural. I’ve made a list of five allegedly haunted places in Canada that I think would be interesting to visit. 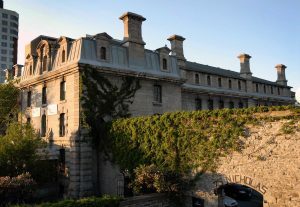 This place was built in 1862 and it actually used to house criminals. There were many reports of inhumane living conditions, torture, and disease. Even children were said to have been in prison here for committing crimes of theft. Public hangings were very popular at the prison. One famous incident was when a man by the name of Patrick Whelan was hanged on February 11th 1869 for allegedly murdering Thomas D’Arcy McGhee, who was one of the Fathers of Confederation. Around 5000 people watched him die during the 11th hour. It’s said that he still haunts the building because Whelan still proclaims his innocence. This abandoned railway tunnel was built just before the outbreak of World War I and because there wasn’t any money left to fix it, plans were stalled and now we’re just left with an unused tunnel. Legend says that a little girl was burned alive in the tunnel by her psychopathic father who had just lost custody of her and burned their house down. It’s said that if you stand in the middle of the tunnel at night and light a wooden match, you’ll hear the girl scream when the flame goes out. 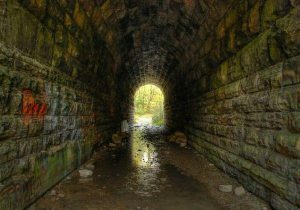 People also believe that the father still haunts the area too and if he ever reaches someone in the tunnel they will instantly die. It is said that a woman by the name of Jane Riley in the 19th century committed suicide here when she fell 120 feet to the bottom of the gorge and was found September 4th 1915. She killed herself after she found her lover Joseph wrapped in the arms of the Town’s prostitute. People who visit the area say that they can hear silent sobs at the bottom of the gorge during moonlit nights. 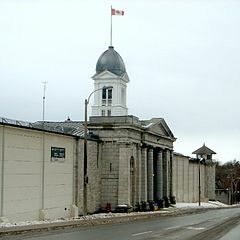 On its website, it says the pen is Canada’s oldest and most notorious maximum security prisons. It was built in 1832 and it closed in 2013. You can actually take tours of the building where you can learn about the historic, architectural and criminological components of the building. There’s also a chance to have an informal conversation with the retired Correctional Service Canada staff. This hotel is rumored to be one of the most haunted in Canada. It was built in 1888 by the Canadian Pacific Railway. 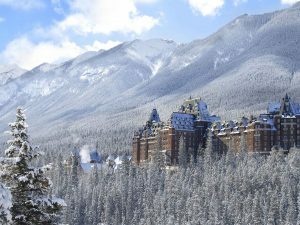 People have sited many ghosts like a murdered family in room 873, a bride who died after falling down the hotel’s marble staircase, and a retired head bellman who haunts the hotel dressed in full uniform. References: Readers Digest, Hamilton Ghost Walks, Kingston Penitentiary, and Creepy Canada.